Launch Powershell with an account that access to the sharepoint environments. Wait a few minutes and then the whole web application will be upgraded. This is a one time upgrade and can not be downgraded. The key here is -force, depending on the situation, if you don’t add -force, your SSP won’t be fully deleted. You need to run this under the setup account used for SharePoint with approprate security. 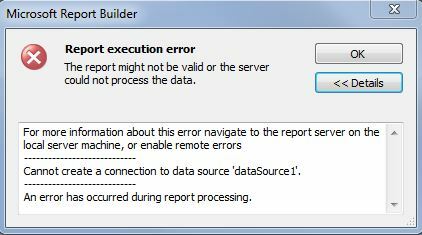 You may see this error – more than once – when working with your Microsoft Office SharePoint Server (MOSS) 2007 deployment. This animal / error generally shows itself after you have applied an upgrade to an existing deployment. For example, when upgrading from B2 MOSS to B2TR MOSS – or when applying a special service pack from MSFT – you may begin to see a lot of these errors pop up in the SYSTEM event log. The error CLSID is followed by a class ID for the DCOM+ application that the service account trying to activate that application – does NOT have permission to activate. to the user <serverName>\mossService SID (S-1-5-21-<serviceSID>). This security permission can be modified using the Component Services administrative tool. Edit–>Find and paste in the GUID. It’ll stop at the application entry – and you will want to note the application name on the right side pane. In this example, it was the IIS WAMREG admin service that popped up. Now, open Component Services (typically, from the server – Start–>Administrative Tools–>Component Services), expand Component Services, Computers, My Computer, DCOM Config. Scroll down and find the application (IIS WAMREG in this case). Right-Click–>Properties and select the Security tab. You’ll have some options here – the first block Launch and Activation Permissions – ensure that the Customize radio button is selected, and click Edit. Now, add your service account – giving it launch and activate – and in some requirements – remote launch / activate permission. NOTE: This is not applicable to MOSS setups only – and hopefully this will help someone else that sees these annoying DCOM errors in their SYSTEM event log.